The project has had a peer-reviewed paper published. 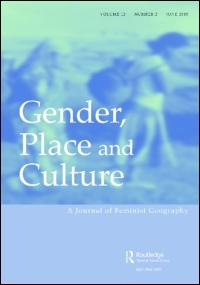 The paper talks about how we did the project transnationally, and focuses on a conversation between the research team about what it means to do queer feminist transnational research. On October 7th 2016, the Liveable Lives project hosted 'Making Liveable Lives' - a one-day seminar for discussing what actually makes life 'liveable' for LGBTQ people in India and the UK. You can now see recorded videos of each presentation. 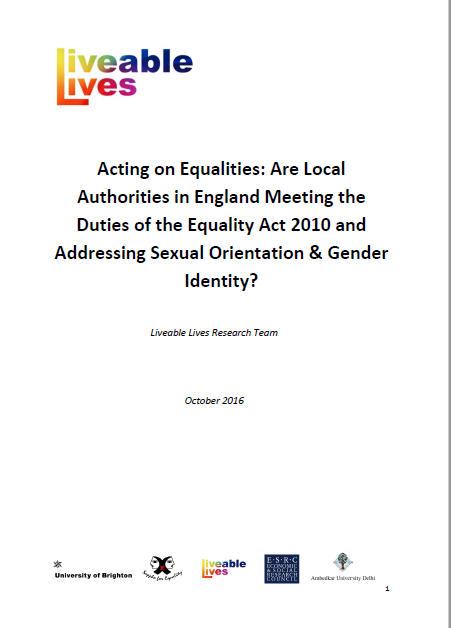 The LGBTQ Liveable Lives project has published a new piece of research, which explores if and how each local council in England is meeting its duties under the Equality Act 2010. You can now download this report and see how your own council is doing. You can now see the full programme for the project's upcoming event 'Making Liveable Lives: Is Sexual and Gender Legislative Equality Enough?'. To see more about the event, check out the event page. To register to attend, click here. 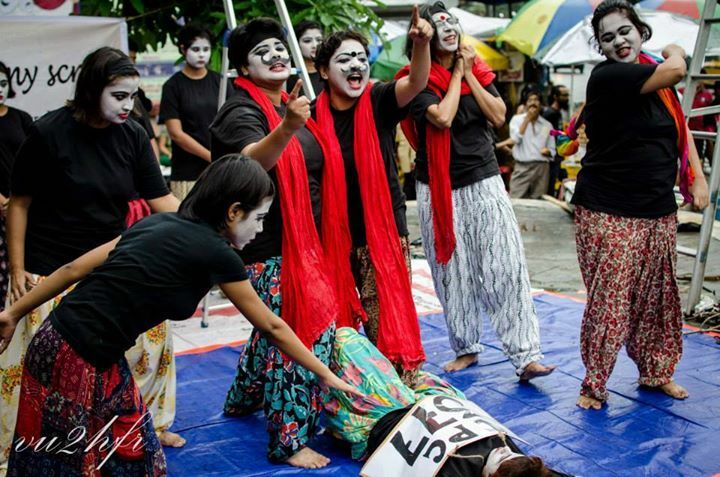 In summer 2015, LGBTQ people in Kolkata, India workshopped and performed a series of short 'street theatre' skits. These were performed in public to unsuspecting audiences in Kolkata. The Liveable Lives team has now released a video of these performances, and an English translation and explanation (see full news item) for those who don't speak Bangla. Liveable Lives event - save the date! On October 7th-8th 2016, the Liveable Lives project will host a 2 day event of discussions, film screenings and theatre workshops in Brighton, UK. This event will challenge assumptions that 'West is best' when it comes to sexuality and gender. We invite LGBTQ people, activists, academics, service providers and policy makers to join us!